The Washington Redskins promote responsible drinking and positive fan behavior at FedExField. The Redskins Fan Code of Conduct and the details of the Redskins alcohol management plan that appear below ensure that fans have a safe and fun experience. Event patrons are responsible for their conduct as well as the conduct of their guests and/or persons occupying their seats. Stadium staff will promptly intervene to support an environment where event patrons, their guests, and other fans can enjoy the event free from the above behavior. Event patrons and guests who violate these provisions will be subject to ejection without refund and potential loss of ticket privileges for future games. We thank you for adhering to our Fan Code of Conduct. Let’s all enjoy the game! Fans can send a text to the following numbers. When applicable, fans should enter the designated code, followed by a message (their location and issue). For certain teams, there is a hotline option (indicated below). Note: Teams are able to track the origin of the calls. There are 8 locations of the Bud Light “Good Sport” designated- driver program at FedExField. Fans who pledge to be designated drivers receive a complimentary soft drink and a chance to be selected as the Designated Driver for the Game. Designated Drivers for the Game are recognized on the stadium video board and receive a Redskins polo shirt. 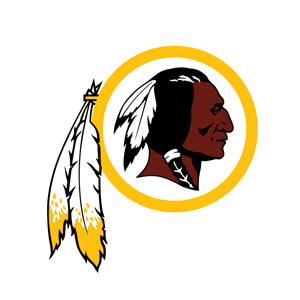 Continuing for the 2016 NFL season, the Washington Redskins are facing off against the New York Giants in the Bud Light Good Sport Designated Driver Challenge. Redskins fans who pledge to be designated drivers at FedExField earn the Redskins a touchdown (6 points) in the Challenge. Redskins fans who “Like” the Redskins Designated Driver Challenge Facebook page earn the Redskins an extra point in the Challenge. Please make the pledge to be a responsible Redskins fan and help the Redskins win the Challenge!